Many questioned for months how Roseanne Barr’s character would be written out of ABC’s new Roseanne spinoff The Conners. That question was finally answered when the show aired its first episode Oct 16th with a pilot episode entitled “Continue Truckin’,” taking a deeper look into the world of prescription drug addiction and abuse with the death of Roseanne Conner by an accidental overdose. 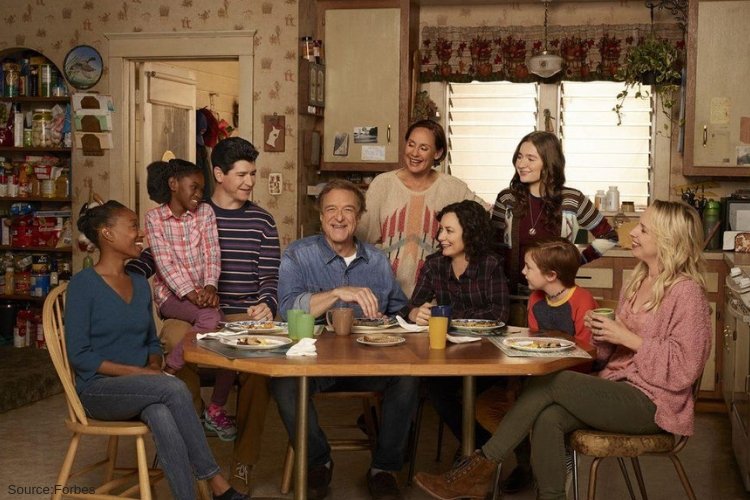 As the Conners mourn the loss of such a huge part of the family, the new series opens up to what is genuinely an epidemic in this country. The original Roseanna was known for addressing sticky topics and newsworthy situations and hopes the spin-off will do the same. This country is being taken over by opioids and prescription drugs creating an overdose epidemic that we can no longer ignore. The concern has been in the headings of every significant news outlet and the stats are almost unbelievable. Every day, more than 115 people in the United States pass away after overdosing on opioids. 25% was represented by the U.S for drug-related deaths worldwide, including overdose deaths, which have continued to skyrocket. Overdose deaths in this country have more than tripled in the last 20 years, reaching upwards of 64,000 in the 12-month duration prior to January 2017. The self-medicating and over-prescribing of medications happening in America has led to a national public health crisis including; heroin, opioids, prescription painkillers, and synthetic opioids such as fentanyl, a synthetic opioid up to 100 times more powerful than morphine. The synthetic opioids are responsible for the majority of the overdose deaths ages between 25 and 34. A total of 90% deaths in January and February last year involved fentanyl. In the series premiere, the family is facing the grim reality of missing the signs that could have saved Roseanne’s life. Pill bottles were found all over the house and one bottle that belonged to her neighbor Marcy Bellinger, played by Mary Steenburgen a new cast member. During an emotional scene, she tells her good friend Dan (John Goodman), that the neighborhood shares medications due to the lack of health care and financial situations. A situation that is very common in today’s society. The show once again touched on an issue that is important to us as a nation. With the averages as high as 115 people dying every day from an opioid addiction and overdose, that’s almost 42,000 deaths per year. Besides the issue of prescription medication The Conners’ touch on other important issues such as: Becky’s (Lecy Goranson) addiction to alcohol, Darlene (Sara Gilbert) and David ( Johnny Galecki) each dealing with divorce and moving into new relationships with Juliette Lewis and Justin Long, and how their co-parenting will be affected, and Dan dealing with the his grandson questing his sexuality, all from a blue-collar point of view that relates to people from all walks of life. During Good Morning America on Wednesday, Oct 16th Goodman described the first week back without Barr as “really weird, like a death”. Werner says he’s been in contact with Barr via text, “I was in contact with Roseanna this summer, but we have not talked about how we handled her character’s exit.” Gilbert added that it was emotional moving forward, the team felt it was necessary to do so, is that there are many stories left to tell. With both having the same vision Werner shared, “I’m not trying to have this be a rating blockbuster. I am, however, hopeful the audience will find the show and if they do, that they will come back. What’s most important to the cast, writers and crew is that we do a good show.” The creators and writers at ABC will stop at nothing to capture the hearts of America once again.